November 21, 2010 (KATAKAMI / RIA NOVOSTI) — The death toll from recent eruptions at Indonesia’s volatile Mount Merapi has reached 304, Indonesian media said Sunday. 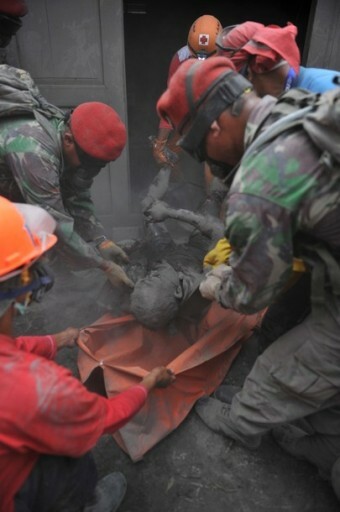 The death toll climbed after several victims succumbed to illnesses linked to the eruption and severe burns, also more ash-buried bodies have been recently found at the slopes of the volcano, Indonesian National Disaster Management Agency (BNPB) said in a statement. Mount Merapi is one of the most active and dangerous volcanoes in Indonesia and has produced more lava flows than any other volcano in the world. It has been active for 10,000 years and has registered eruptions on average every four years. On October 26 mount Merapi erupted after years of dormancy, a series of eruptions followed. The volcano’s eruption on November 5 was deemed the deadliest in decades. Merapi is located about 20 miles to the north of Yogyakarta, and thousands of people live on the flanks of the volcano, with villages as high as 1,700 meters above sea level. 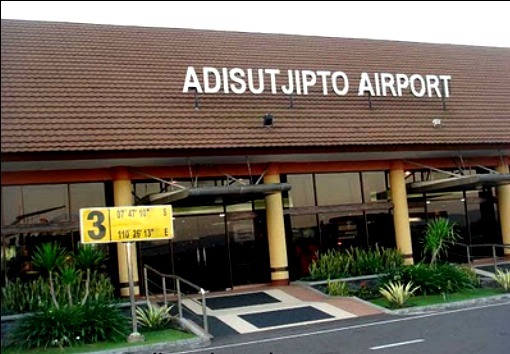 November 20, 2010 (KATAKAMI / THE JAKARTA POST) — The Adisucipto International Airport in Yogyakarta went back into operation on Saturday noon after authorities closed it down due to Mount Merapi’s volcanic activities. The Yogyakarta to Jakarta route via Solo, Blora, Semarang and Indramayu has been reopened. Authorities directed flights to this northward route to avoid areas affected by Merapi’s volcanic dust. November 18, 2010. Indonesia (KATAKAMI / THE STRAITS TIMES) — The number of people killed by a series of eruptions at Indonesia’s most volatile volcano in recent weeks has risen to 275. The National Disaster Management Agency said Thursday that the toll climbed after more than a dozen victims succumbed to their injuries – mostly severe burns. 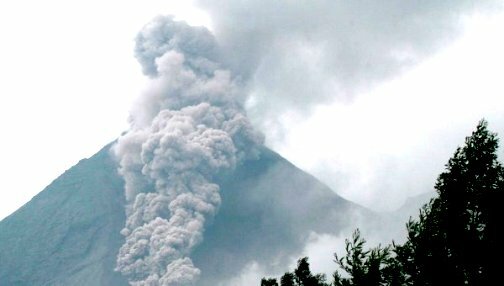 Mount Merapi began unleashing torrents of hot gas, rock and other debris late last month after years of dormancy. The most significant blast came Nov. 5, the deadliest day at the mountain in decades. The disaster agency said most of the 275 people were killed by searing gas clouds. Others died during panicked evacuations or from respiratory problems and other illnesses linked to the mountain. November 18, 2010. Gunung Kidul (KATAKAMI / ANTARA) – A total of 1,625 evacuees of Mt Merapi have started leaving their shelters in Gunung Kidul regency, Yogyakarta, returning to their villages. “The 1,625 evacuees started leaving their shelters on Sunday. 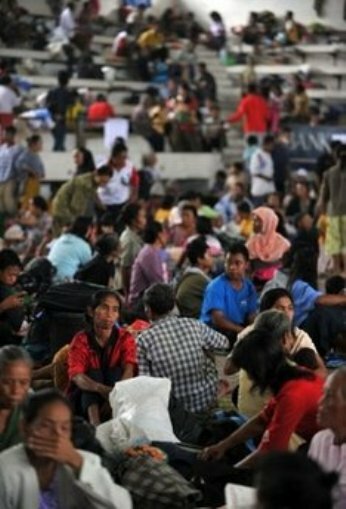 They were part of the 11,714 refugees sheltering outside the main command post of the Gunung Kidul regency administration, known as Rest Area Bunder,” Gunung Kidul regency administration spokesman Azis Shaleh said on the sidelines of monitoring the condition of the refugees at the shelters in Bunder, Playen, Gunung Kidul, Wednesday. He said that the number of evacuees at the main command post at Rest Area Bunder had even increased from 730 to 747. Azis did not know for sure what exactly made the refugees to return to their homes. Maybe they now felt safe following the announcement that the danger zone had been reduced, and many others wished to observe the Day of Sacrifice at their hometowns, he said. He added that the home-going evacuees had already asked for permission from their coordinator or volunteers at the refugee command posts in each subdistrict. One of the refugees of Cangkringan, Tugiman, said he preferred to stay at the Bunder refugees command post until an official statement on the safety of status of Mt Merapi.